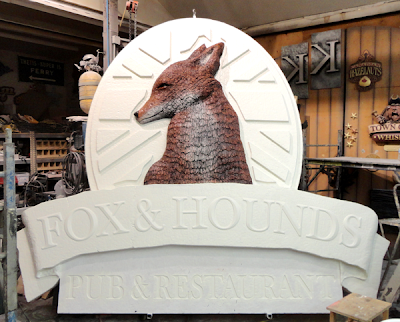 Today we got to the color on the large Fox and Hounds Pub sign. The whole sign was primed with Coastal Enterprises’ FSC-88 WB primer. Then we started in on the base coats. Since the fox would be relieving some glazes he was the first to get painted. 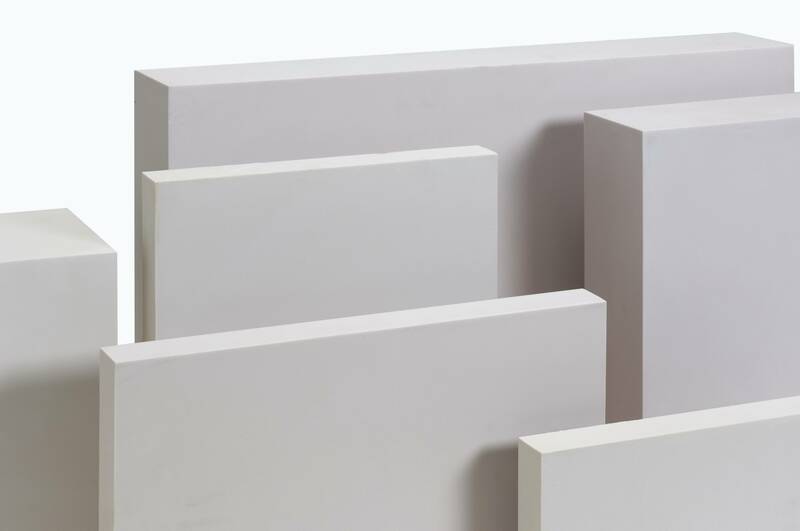 We double or triple coat all of our paints for longevity. The blend on his fur was went into wet, done with a 3″ brush. Once he was good and dry I applied a dark brown glaze and wiped him down good with a soft terry towel. The dark glaze stayed in the deeper parts defining his fur and details in an instant. 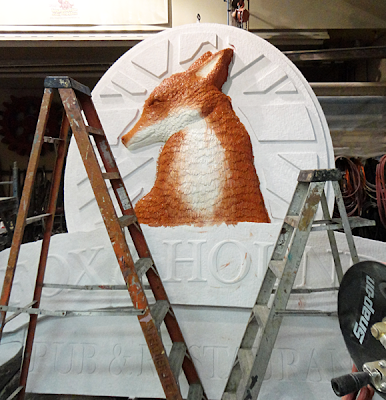 Then we began the base coats around the fox. We’ll start in on the colors tomorrow, working from the top of the sign downwards.